FILE - This Sept. 21, 2017 file photo shows Megyn Kelly on the set of her show, “Megyn Kelly Today” at NBC Studios in New York. Kelly is apologizing to her NBC News colleagues for questioning why dressing up in blackface for a Halloween costume is wrong. She faced a swift backlash for her morning show segment on Tuesday, Oct. 23, 2018, and wrote later that she realized that such behavior is wrong. She says she’s never been a “PC” kind of person, but does understand that she needs to be more sensitive on issues of race and ethnicity. 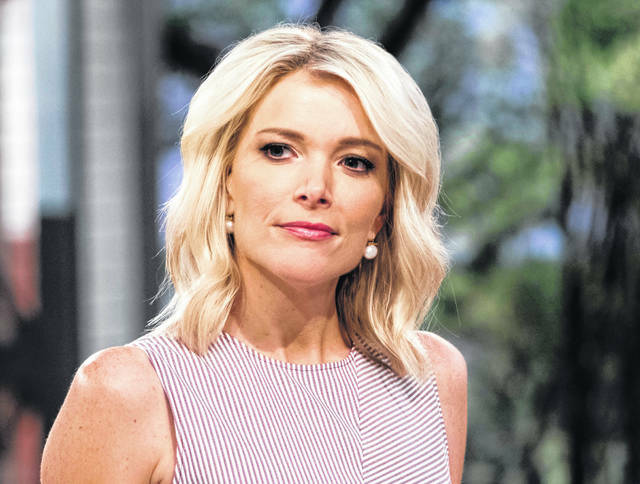 NEW YORK (AP) — Megyn Kelly was absent from her NBC News morning show on Thursday following this week’s controversy over her comments about blackface, amid indications that her time at the network could be ending after less than two years.